Mary Halvorson has been making her mark as one of the most original guitarists working within the world of jazz for many years. With a highly personal and elastic style, Halvorson has also affirmed her distinctive calling as a composer in various groups. 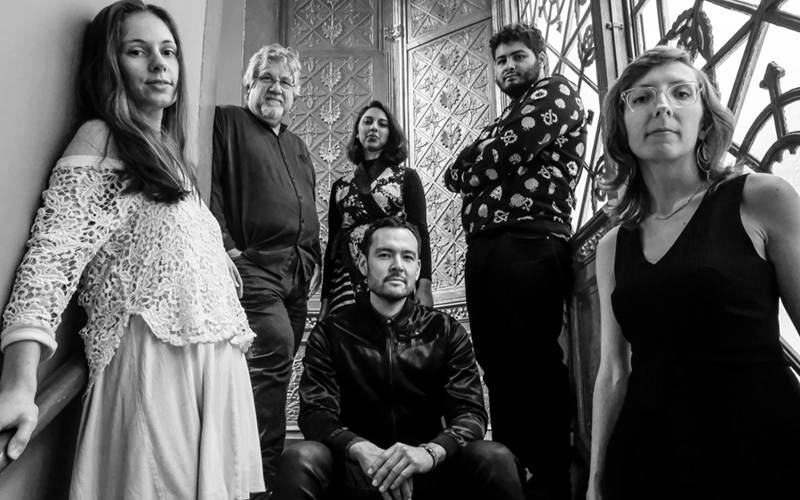 This time, heading a reincarnated collective featuring Michael Formanek, Tomas Fujiwara, Maria Grand and Adam O’Farrill, the guitarist has invited Amirtha Kidambi, a singer trained in Indian musical tradition, and the special charms of her vocal talents. If you were already under no illusions about the guitarist’s disarming creativity, this is a new step based on a series of songs whose lyrics and compositions she has created.